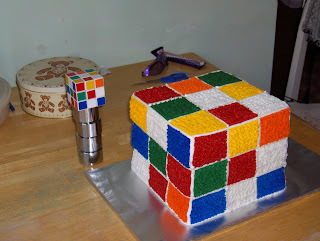 Via the Craft Zine blog: The coolest cake I have ever seen. This might be perfect if you’ve got a friend or family member who is still trying to solve the Rubik’s Cube they bought in 1981. Whoever frosted this one, must have had the patience of Job! Great photo!